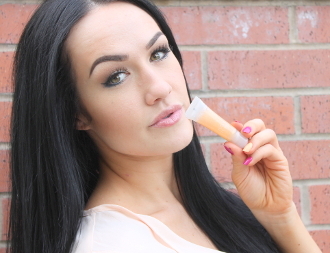 Lancome Juicy Tubes Ultra Shiny Lip Gloss. Add power to your pout with brilliant shine. Dial up the glamour with shimmering color. Discover a favorite shade and flavor for every mood. Lancôme now offers a fun way to choose Juicy Tubes based on coverage and finish, giving your lips the high impact shine and color you desire. Juicy Tubes shades offer medium coverage with a burst of color. Lips glisten with an ultra-glossy formula that glides on easily with its tube-tip applicator. Comes in the following sizes: .21oz; .28oz; .33oz; .5oz. Comes in the following yummy flavors: Miracle; Raspberry Ice; Touched by Light; Fruity Pop.